It’s been three days since McCann New York and its client State Street Global Advisors, under the cover of darkness, dropped a statue called “The Fearless Girl” into Bowling Green Park in lower Manhattan. Staring down the 28-year-old Wall Street “Charging Bull” statue, she’s a potent symbol of female leadership in business, and of the need for companies everywhere to get more women on their boards and into other powerful positions—for reasons not just symbolic but practical, as companies with gender-diverse leaders simply perform better financially. The statue was literally an overnight sensation. It’s become a serious tourist attraction, mobbed day and night by crowds charmed by the girl’s confident and defiant pose. It’s become the place to take a selfie in Manhattan this week, and it’s a remarkable piece of breakthrough advertising in a category—finance—that doesn’t see many of them. 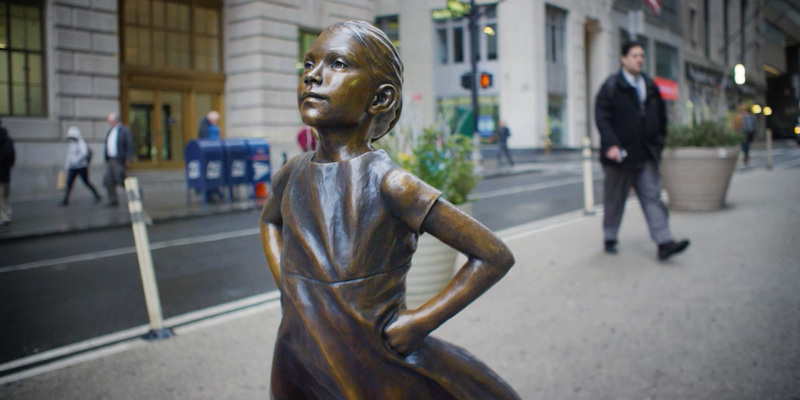 To hear more about the girl’s creation, we spoke with McCann senior copywriter Tali Gumbiner and senior art director Lizzie Wilson, who spearheaded the campaign, working with McCann’s production department and outside sculptor Kristen Visbal to bring the idea to life—timed to International Women’s Day on Wednesday. Still ecstatic about the overwhelming reaction to the girl, Gumbiner and Wilson told us about how she came to be. UPDATE: We also spoke to Tali and Lizzie at Cannes Lions in June. See that video below, and below that, our earlier chat with the creatives from March. 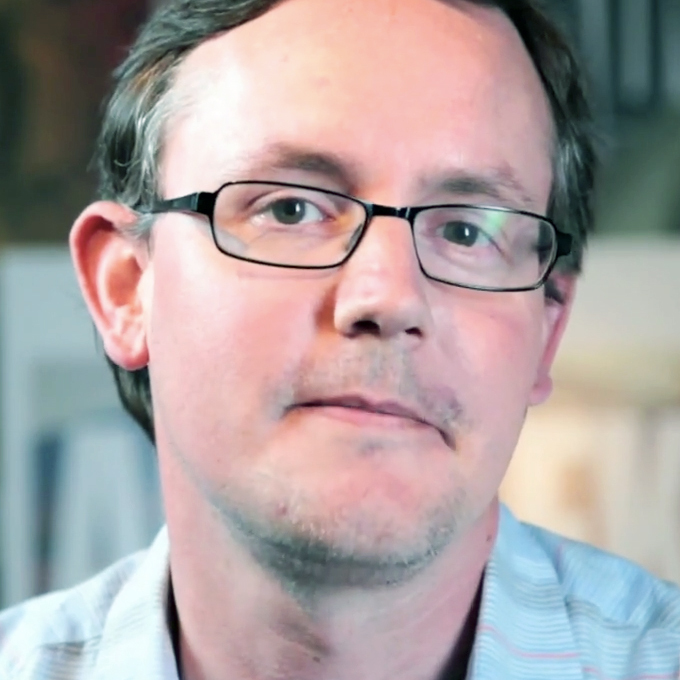 AdFreak: Congratulations on a such an incredible reaction to the piece. Did you expect it to be so huge? Tali Gumbiner: When we first thought of it, we felt the magic for it. And then once we got into the weeds of production, and midnights at the office, we lost sight of the larger picture. So, when we launched it, we felt humbled and overwhelmed by how the city, and particularly individual girls, have reacted to it. So, I guess the answer is yes and no. But the breadth of the reaction, I think no one can expect that. Can you put into words why people are so drawn to her? Lizzie Wilson: I think there is something so relatable about a kid. I think you see yourself in her, but you also see your kids. You see the future, and you see your past. I think there’s something so relatable about a little girl. TG: Also, there was a lot of discussion with State Street about the timing of this, because it was so important and meaningful. Launching it on the cusp of International Women’s Day really provided so much fodder for people to emotionally react to her. I think that was a key element of this. Obviously this is a grander idea than a print ad or a hashtag or even an inspiring video. Where did the idea come from to do a statue? TG: State Street brought us a pretty once-in-a-blue-moon brief. They have this ETF [exchange-traded fund] called SHE, which only invests in companies with women in leadership. They conducted studies that found companies with gender-diverse leadership, and women in leadership, are actually more lucrative. So, we had this wonderful opportunity where we weren’t just advocating for women in leadership because it’s a nice thing to do, but because we actually need to change the perception of what a successful company is made of. That is such a challenge, but such a cool one.